The Salamander CT50 is a positive head twin pump designed to pump hot and cold tank fed supplies to a thermostatic or manual shower mixer valves. The Salamander CT50 Xtra is from a range of positive head shower pumps that are robust and plumber friendly. These pumps are quick and simple easy to fit with push fit AV couplers. This twin pump is designed to boost both hot and cold supplies to your shower creating an invigorating showering experience perfect to wake you up in the morning or relax you for a great night’s sleep. 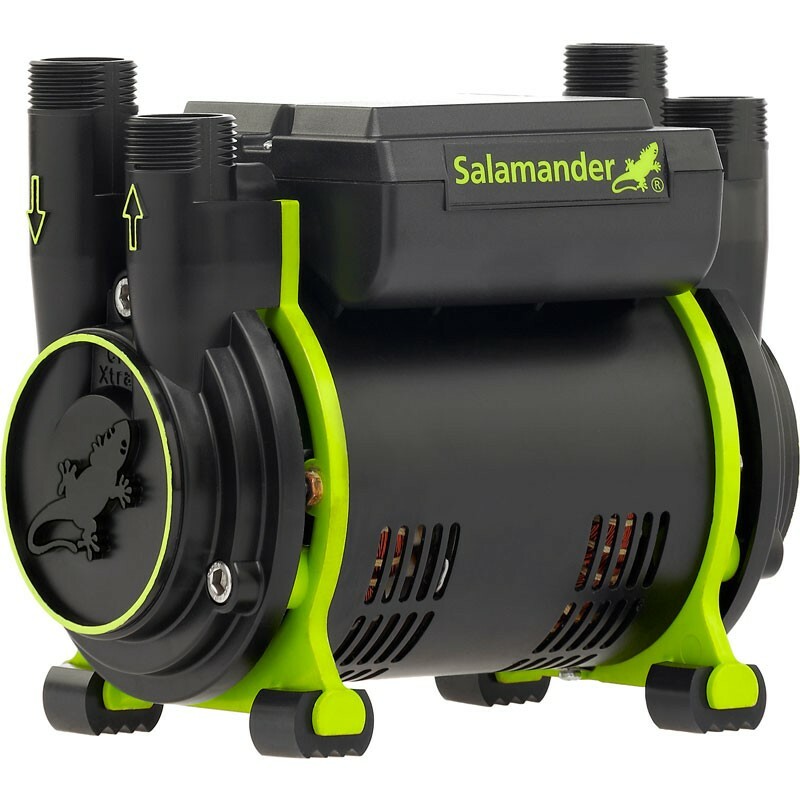 The salamander CT50 Xtra regenerative pump is continuously rated. Faulty product - pump runs on after shower has stopped. Had to advise salamander pumps. Very good product. Just what we were looking for.